I sometimes need to manipulate PDF files. There’s a lot of tools out there, Preview being the most handy one, since it’s already installed. When Preview can’t help, I usually use Sejda PDF. It comes with an easy to use online service for editing PDFs. When I’m working with privacy sensitive files that should not be uploaded to a third party, I download their desktop tool. Most often I need to split the PDF document by pages. 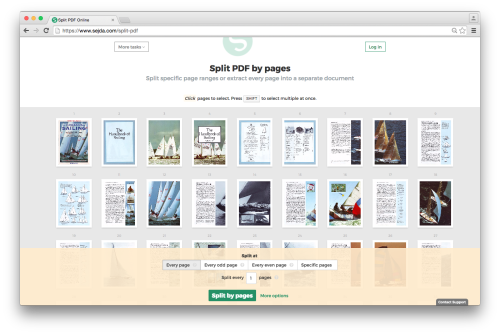 For this I upload the PDF file (or pick from Dropbox/Google Drive) and then select the pages where I want to split at. So for example, if I want the first 20 pages I’d select page 20. Or if I’d like pages 10-20 I’d select pages 10 and 21. Sometimes I need to email a colleague a PDF file, but the file is too large. Simplest thing is to upload it to Dropbox or Google Drive and just share the link in an email. But that’s not so great when the file is sensitive. And if you’re in a meeting room with your laptop you need internet to download it from the link. Attachments work better in these cases. To be able to send the large PDF file as an email attachment I compress the PDF file. This works great for sales and marketing documents because they have lots of images. When compressing the PDF file still doesn’t bring it down to less than 20 Mb (the limit for most email) then there’s another way forward. 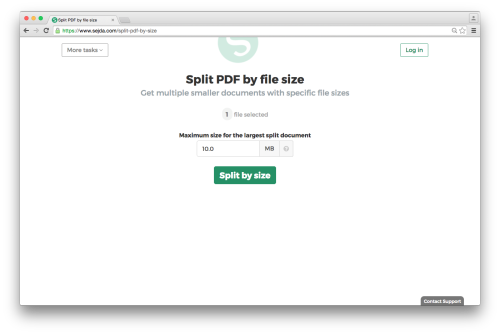 I can split the PDF file by size into more smaller PDF files that are 20 Mb or less. Hope these tips will come in handy for you as well. Happy Friday! MacOS is a great operating system. 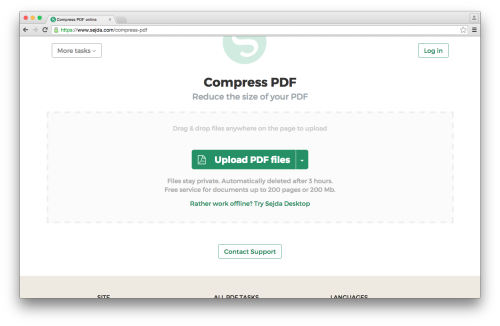 It comes by default with Preview, which can do plenty with PDF files. My favourite is signing forms so I can return them to the sender. I’m not talking about digital signatures, but plain old handwritten signatures. How it works is pretty clever. You take a piece of paper and sign your signature on it. Then you hold it in front of the Mac and it will scan it using the built-in webcam. And voila, you can now place it in the PDF document and save & send. What’s your favourite tip about Preview?